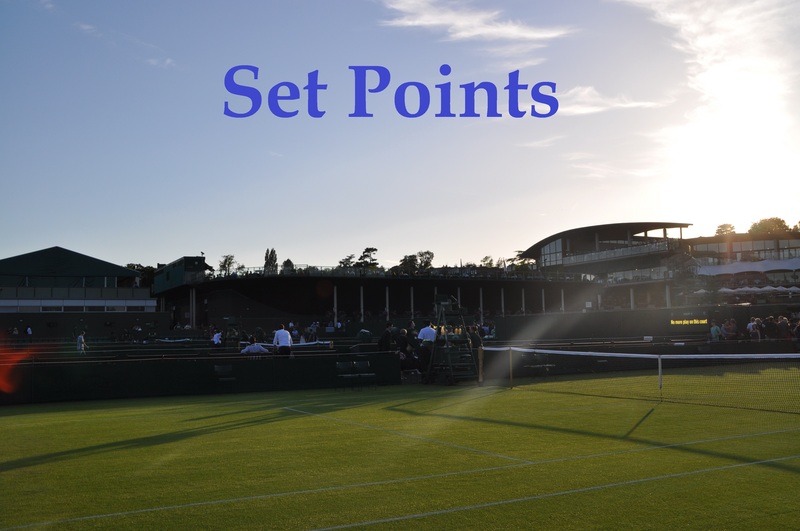 Saturday’s Set Points are a double header after such an exciting day of tennis – for part 1 covering the results and highlights from the first quarter of the draw including wins for Karolina Pliskova, Jennifer Brady, CoCo Vandeweghe and Lucie Safarova, click HERE. Daria Kasatkina upset the number 12 seed and French Open champion, Jelena Ostapenko, 6-3 6-2 to reach the last 16 of a Slam for the first time in her career. The two biggest wins of Kasatkina’s career have arguably both come against Ostapenko – Kasatkina won their last match in the final of Charleston to win her first WTA title. Down 0-3 and getting smashed off the court, I was fearful for Kasatkina! However, she soon found some depth and began mixing it up much more effectively. The Russian player would go onto win 11 straight games as an increasingly erratic, Ostapenko made an avalanche of unforced errors. Midway through the second set Ostapenko had the doctor on the court. The Latvian player did manage a mini-fightback at the end of the match with Kasatkina failing to serve out the match. Second time round, Kasatkina sealed the win and on a quite breathtaking match point. Ostapenko spoke in press about not feeling well during this tournament. Ostapenko says she came into the tournament under the weather. Had to take antibiotics. Woke up feeling terrible today. Very disappointed. For Kasatkina, i’m thrilled to see her breaking new ground at a Slam and after a pretty rough spell following a nasty ankle injury that she picked up in Rome. She spoke in press earlier this week about her relationship with coach, Vladimir Platenik and how she is trying to take more of a lead on her game and the decisions she makes. Rolling back the years – from a break down in the decider, Kaia Kanepi beat Naomi Osaka, 6-3 2-6 7-5 in two hours and three minutes. Osaka hit 18 unforced errors in the first set, more than four times as many as Kanepi, but slowly began to find her range in the second set. Osaka was up a break in the decider, yet it was Kanepi, playing with a great deal of intensity and more secure from the baseline, who came through for a huge win. There was some fine hitting in the third set and i’m disappointed for Osaka who had a real shot to reach the last 16 of a Slam for the first time in her career having beaten the defending champion, Angelique Kerber in the first round. It sounds as if Naomi was understandably gutted in her press conference. Naomi Osaka near tears in press, didn't stay positive enough, thought too far ahead after beating Kerber. Kanepi has won six matches this week, having coming through qualifying, and is into the last 16 of a Slam for the first time since the 2014 US Open. The Estonian player has been thwarted my injuries and illnesses over the past few years and it’s so great to see her back. After a year off the tour, Kanepi returned in June and has won two ITF titles on her comeback. Her level of hitting never goes away and when she can harness her nerves, she’s always going to be dangerous. You can read more about Kaia’s story in the post linked below by WTA Insider. Kaia Kanepi rallies from a break down in the third to beat Naomi Osaka 63 26 75. I got rather absorbed in Vandeweghe-Radwanska and Brady-Niculescu, so much so that I missed the first set and a half of Elina Svitolina vs. Shelby Rogers on Grandstand. I only tuned in towards the end when Svitolina served for the match at 6-4 *5-3. Rogers saved three match points to break with some brave and bold tennis. I didn’t think that Svitolina did a long wrong. To get to those match points, Svitolina had been aggressive and on one point, even moved forward and finished a point up at the net – OMG Elina I shouted at the screen! However, Rogers, gutsy and determined, broke back and then held for 5-5. Where Svitolina continues to impress me is her ability to reset after disappointments. She won the last two games to fend off a spirited effort from Rogers, 6-4 7-5. The match point was an unfortunate one as Svitolina benefited from a dead net cord. I loved Elina’s reaction – there was no celebration and she was 100% apologetic! A nice moment at the net. Great shots of Elina by Jimmie48. In the final match of the day and starting lateeee on Arthur Ashe stadium, Madison Keys rallied from a set down to beat Elena Vesnina, 2-6 6-4 6-1. I loved the commitment from Keys in the decider who powered through with Vesnina’s forehand breaking down rather spectacularly. I cut both some slack since this match finished at 01:46am local time – I couldn’t imagine playing my best tennis, or any tennis for that matter, at that time of night. Madison Keys pulls off gutsy late night win, beating Vesnina 2-6, 6-4, 6-1 at 1:46 a.m. to reach #USOpen R16. Found a great groove late. Missed out on this from Friday’s post – enjoyed Petra Kvitova’s press conference after her third round win over Caroline Garcia. Last 16 action begins on Sunday with the blockbuster match-up between Garbiñe Muguruza and Petra Kvitova the highlight of the day. For a preview of this match and Julia Goerges vs. Sloane Stephens, my first match previews of the tournament are up on the blog at the link below! And finally, Saturday was such a great day of tennis and my favourite of the tournament so far. I’m thrilled two of my faves (Lucie and Dasha) are still left in the tournament. I’d say both at least have chances to go even deeper in the draw! September 3, 2017 in Set Points, US Open, WTA. The first point in the Svitolina match was Elina hitting a 109mph serve and following the point to the net and finishing with a volley- she’s getting there! Early on it looked like an easy match, but after losing the first 6 points, Rogers just started firing winners everywhere! I love watching her play because she seems so tough to get off balance and she sets up so late that it’s tough to tell where she’s hitting her strokes. She was ruthless at the net in the first set and Svitolina did really well to stay on serve. Shelby hit a couple loose shots in the final game of the first set and Elina pounced. I thought Svitolina was so impressive and calm until she lost that third match point and got visibly shaken. But she held it together and got the win. Her serving is really coming along, she hit a few serves at 109/110mph and the free points are really helping her. I really tried hard to stay awake for the Keys/Vesnina match but I just couldn’t. Tennis matches should never begin that late. It’s ridiculous. The USTA really should look into changing this stupid policy. Very happy that Madison won, even though I didn’t see it.